New Orleans R&B riser Lucky Daye has shared new single 'Karma' - tune in now. Raised in a religious cult, Lucky Daye didn't uncover secular music until late in life, when his family fled his home city in the aftermath of Hurricane Katrina. Moving into the outside world, he pieced together an identity free of the impositions of his upbringing, using music as a cypher. 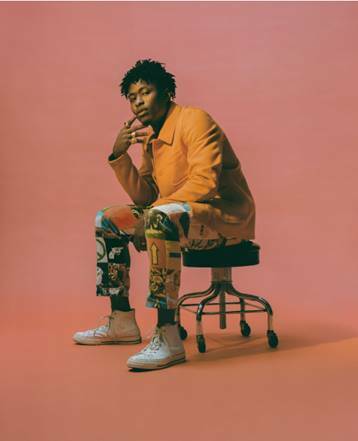 Tipped to break out in 2019, Lucky Daye's addictive new single 'Karma' is a caramel soft bumper that rides a clear funk influence. Reaching back to New Orleans greats such as Allen Toussaint or The Meters, the rhythm is complex yet utterly seductive, while the vocal is delivered with absolute authority. It's an addictive statement from the vocalist, one that sparkles with possibilities. Tune in now.